Yesterday's keyboards were designed for yesterday's operating systems. 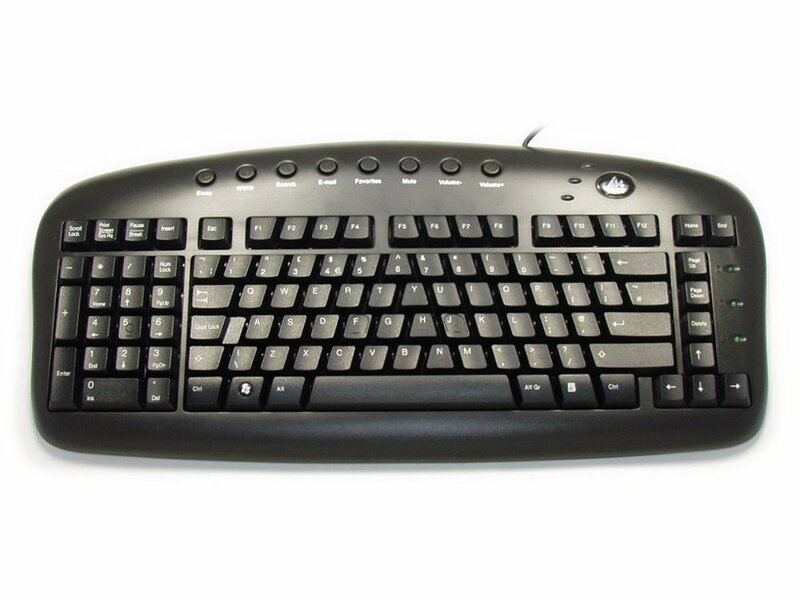 Todays operating systems depend heavily on a mouse, and the new full comfort keyboard with its unique left handed keypad makes it more comfortable to use both hands. Mouse is closer - Your right hand travels less distance and the mouse is easy to reach. Both hands working - Allows the left hand to input numbers while the right hand can control the mouse. Naturally and comfortably - By encouraging a more relaxed, natural wrist position, the "A-shape" key structure should provide hours of comfort while the light-touch keys make typing a breeze. Customizable Hot keys - The iKeyWorks software brings you closer, and keeps you in better touch with your desktop world. At last a left handed key board it is a lot easier to use.